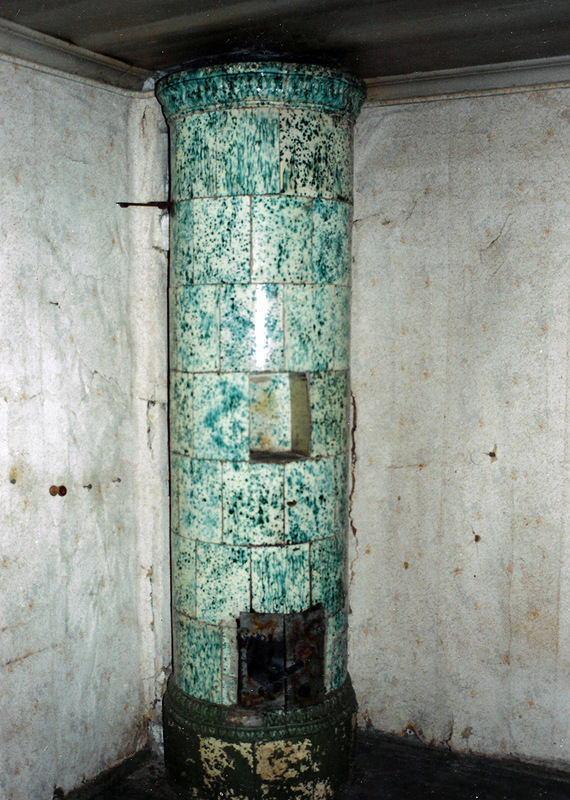 Light yellow, green mottled tiled stove with a cupboard. 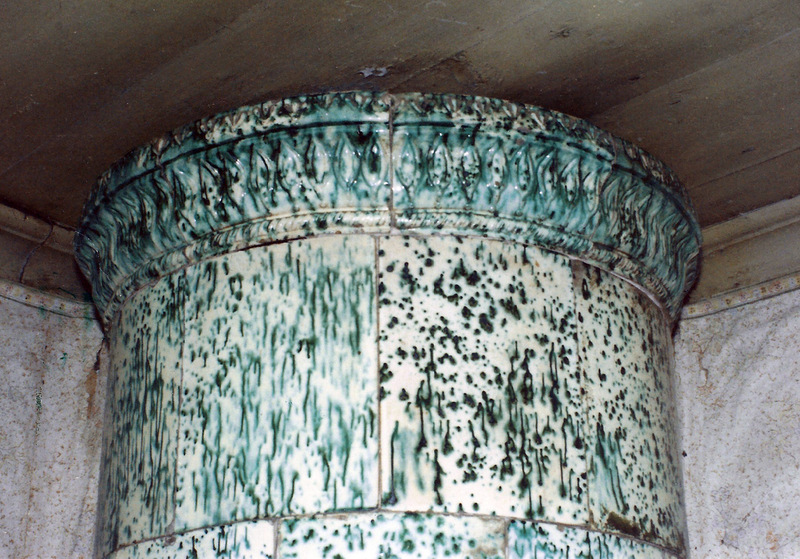 Unglazed plinth. Handmade circa 1820.